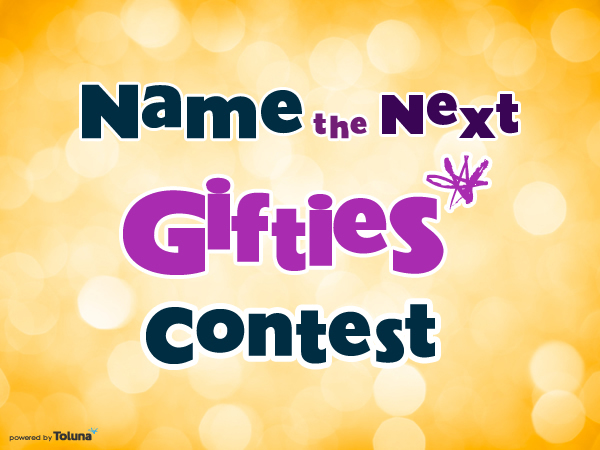 Thank you to everyone for their suggestions on the first part of our February, Name the Next Giftie contest! We’ve reviewed all 200+ suggestions, and have chosen our top five for you to vote on. Please check out the poll here, and cast your vote today! Voting for the next Giftie ends Tuesday, February 24th, 2015. We will announce the winning Gifties suggestion to the Toluna Community on Friday, February 27th! Just as a reminder, the member who made the winning suggestion will be awarded 15,000 points and will see the Gifties added to the catalog by March 2nd, 2015!! For official contest rules and details, click here. *Terms and Conditions: Promotion is open to US residents only, age 13 or older. All Gifties suggestions and posts to the assigned Toluna Team topic must adhere to the Toluna Member Code of Conduct,and must not include any language that is obscene, insulting, threatening, abusive, harassing, defamatory, libelous, untrue, misleading or invasive of someone else’s privacy. Toluna reserves the right to review all posts for content, and withhold bonus points from any user violating the rules mentioned above. Inappropriate posts will be removed, and posts that violate any Toluna terms will be removed, and the member’s account will be subject to closure, and all points will be forfeited. Giftie suggestions will be accepted through Tuesday, February 17th, 2015, and members will have the opportunity to vote on the five (5) top choices, as selected by the Toluna team. The top five (5) ideas and members who provided them will be announced by 5 PM EST on February 18th, 2015.The member with the final winning suggestion will also be notified via email, and the 15,000 points will be awarded to the winner no later than Friday, February 27th. In the event the winning Giftie was suggested by multiple members, we will award each member 5,000 points.